Aug 31 Auditing your CAD file - Part 1 - The Drawing Set. I do appreciate a good QA system. As a young Draftsman printing up my drawing set, giving it to the Senior Draftsperson to review using an A4 QA checklist that I had previously gone through, then sitting down together after a review process and go through my strong and weak areas. 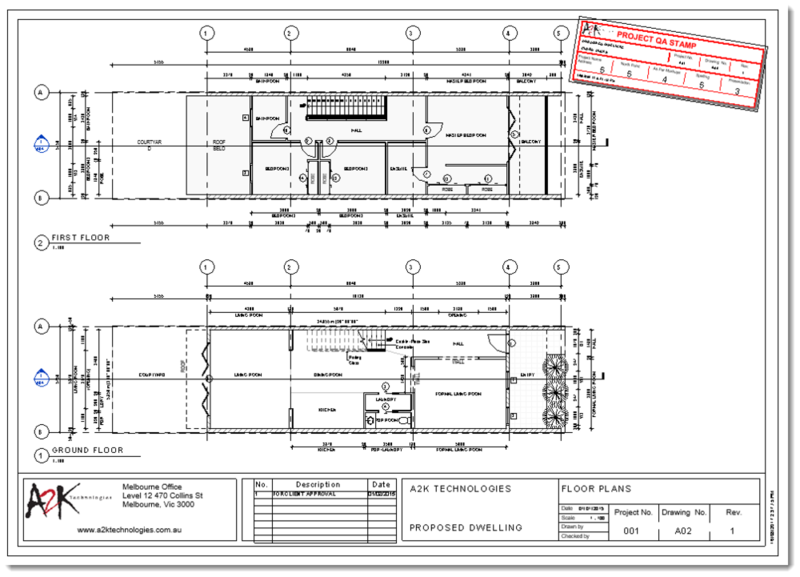 This ensured that the drawings went out correctly, which was a source of pride in the Company, but also it was very important to have the diligence so send out a product that was right and not expose ourselves to litigation. Who carrying through this QA process? When is it appropriate to Audit a CAD file/Drawing Set? Why is it important to capture the Data? What can we learn from economics to track Data? Drawing Set QA meets BIG DATA. Let's start with what I hope you are ALL doing, Project drawing set reviews. You have a list and a set of drawings, you go through the list and either check off that the drawings comply or give a rating of compliance. Simple, straight forward and the drawing set should go out with no or minimal errors (are they ever 100% correct?). But the data just died right there, as soon as the piece of paper went into the manila folder and into storage. Possibly your Company has moved into the digital age and use a Word doc, but the Data is still dead. To prevent Data death, we need to move this information into a Database and Excel will do that the easiest, then we build up the Data, and then look for patterns. I will keep the drafting software non-descript because many programmes will shift their Data to Excel, and that’s all we really need. AutoCAD - Sheet Set Manager, Data Extraction Wizard. PDF-Bluebeam Revu Quantity Link, Export to Markups to Excel. This example is far too simple for real life Project Drawing analysis. Substitute your current A4 printed QA checklist for a QA data driven stamp. Project name and address is correct. North point correct on drawings. Drawings updated in accordance with the latest markups. Then I Score each topic from 1 to 5. One slow method that I am guilty of doing many times in the past is to have a hard copy print set of the drawing set to be reviewed and a printed A4 list. But this is slow, and as I said earlier, the Data dies at that point. A better method is to create a "Stamp" that I load into the project and use it on each drawing that I review. For AutoCAD, this could be a Block with Attributes, for Revit you can use a Titleblock Family with Parameters and Bluebeam a Stamp. Now with the "Stamp" in view, I review the drawing and update the Score for each of the Topics. Now export all the Data that you have just created to Excel in its raw form. But that’s fine, Excel will just eat up the Data. Dashboards and Pivot Tables are the key to my heart. There is lots of information on the interwebs about Pivot Tables, if I have not ticked the aesthetic box that you need, there is an answer undoubtedly on YouTube. I create a Table from the raw data then use this to set-up another Tab for my Pivot Table. It's never a good idea to have a long blog, our attention spans are not that long (yes I am guilty of this too), but we like pictures, videos even more! Enjoy. Reviewing Projects against one another. Let's say there is a Jnr Draftee called "Why are you not using Reference Planes to Model your Steelwork" or Refs for short. Now to be a good manager of Rafy, you will need to watch their performance over time and with continued guidance and periodical performance reviews they will have the best opportunity for growth. By tracking their Project Drawing reviews with Pivot Tables, as a Manager, you will be able to capture the quality of Refs’ drafting ability and compare the results of over time. This, in turn, will highlight the progression of their drafting and because of the patterns that data crates, you can focus your attention on the areas that need more development. Using Pivot Tables is not a completely new Workflow for the building industry, but I don't think that we have tapped into it enough at the Drafting/Modelling level. We have always needed to validate the drawings in one form or another, it;s just that now these processes are becoming more accessible. Aug 1 Volume Builder using BIM to improve productivity.